Cartel para: SI ME IGNORAS . TE ENTIENDO SI YA NO TE INTERESO . TE ENTIENDO . 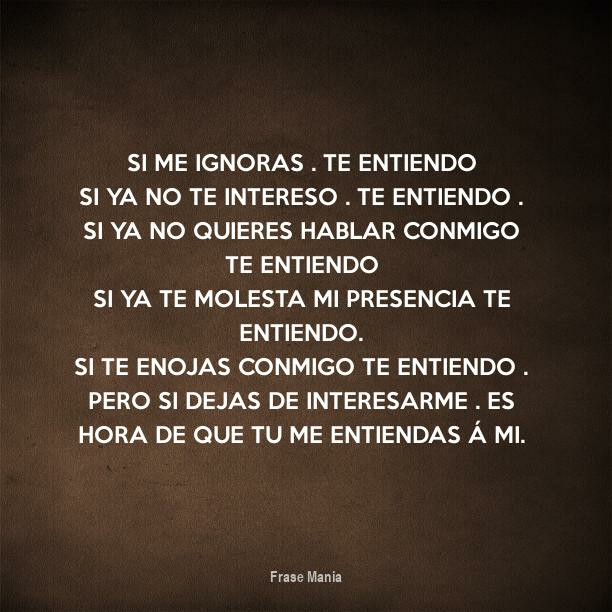 SI YA NO QUIERES HABLAR CONMIGO TE ENTIENDO SI YA TE MOLESTA MI PRESENCIA TE ENTIENDO. SI TE ENOJAS CONMIGO TE ENTIENDO . PERO SI DEJAS DE INTERESARME . ES HORA DE QUE TU ME ENTIENDAS Á MI.